If the image above looks familiar, you may have seen it in person in São Paulo or in one of several Brazilian films such as Foreign Land (Terra Estrangeira), Not By Chance (Não Por Acaso) or Blindness (Ensaio sobre a Cegueira) which all featured the giant overpass. 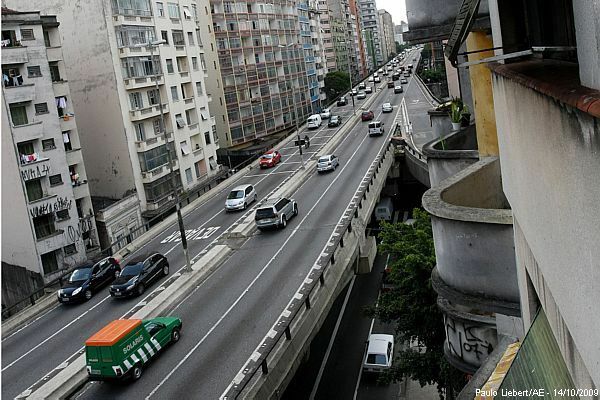 São Paulo’s Costa e Silva overpass, better known as “Minhocão” (or “Big Worm”) has been a talking point of mayors, urban designers, architects and the general public since it was built back in 1970. 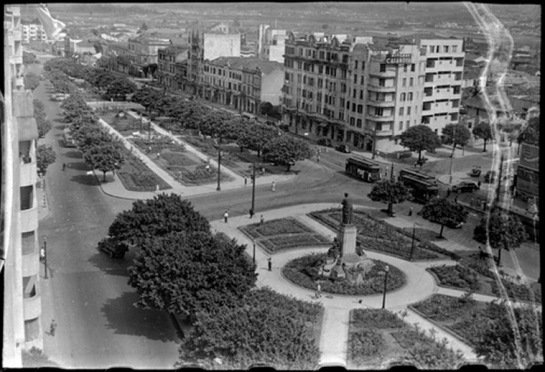 It was originally imagined as a way to double the capacity of cars able to traverse central points of the metropolis. Unfortunately, it always seemed more like a mere political promise made and kept, one of brute engineering, rather than an architectural wonder that simplifies life and beautifies the city. It almost seemed to have been forced on the people, and to that effect, it didn’t help to be named after a President from the time when Brazil was under military dictatorship. In all the years it has been open, the best thing it has had going for it are the pedestrian hours it keeps as of 1989. The car-only schedule goes from Monday to Saturday, from 6:30AM to 9:30PM, but during off-hours, the population uses it for leisurely strolls, Sunday bike rides, and as a jogging track. On some holidays, like the Festa Junina, the Minhocão plays host to related festivities like an extra-large quadrilha, or square dance, which can be quite fun (I’ve done it!). 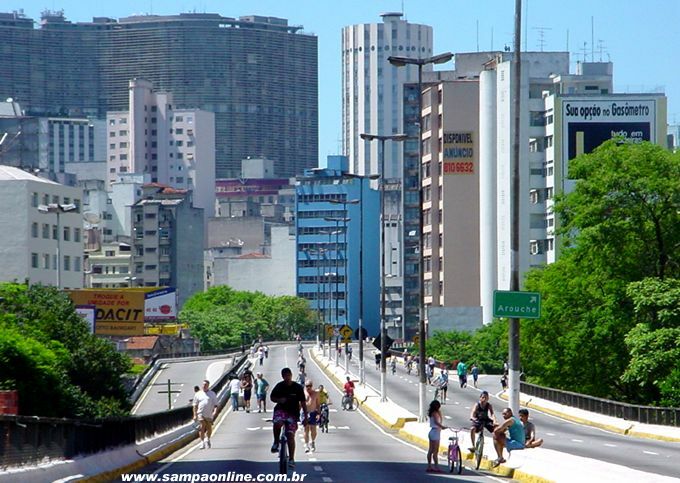 In 2010, the then-mayor of São Paulo, Gilberto Kassab, submitted a project that would see the razing of the entire overpass, such as what happened recently in Rio de Janeiro with the Perimetral. 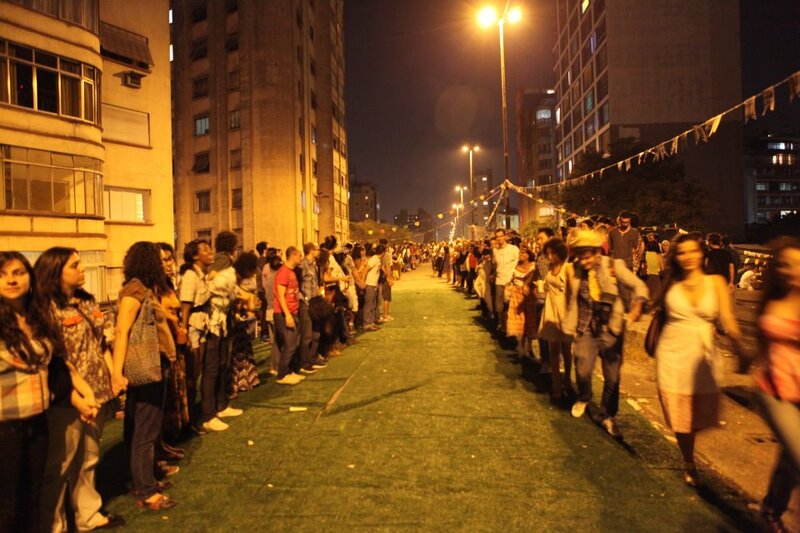 As with the Rio overpass, whose destruction was discussed politically for 20 years prior, the removal of the Minhocão will also likely follow suit. According to the proposal, what would be put in its place would be another avenue, although other proposals out there on the internet seem more appealing (such as turning it into a park). As interesting as what is to come, is what it used to be before politicians had their way. Luckily, a photo from 1942 showing how it used to be was just posted on a blog from the newspaper Estadão. Check it out below. Going to Brazil? Make sure you get our free Travel Portuguese lesson before you take off!